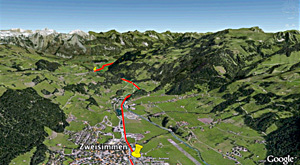 This train passes through the Simmental region. The valley narrows and the forests become darker alongside the raging river Simme, before it flows into Lake Thun. Your train will also pass through here as well. The Wimmis castle indicates that the lake is close by. It has guarded the entrance to the Simmental region, that you are about to leave before reaching Spiez on the shores of Lake Thun, for more than a thousand years. This lake is very different from Lake Geneva from where you started. 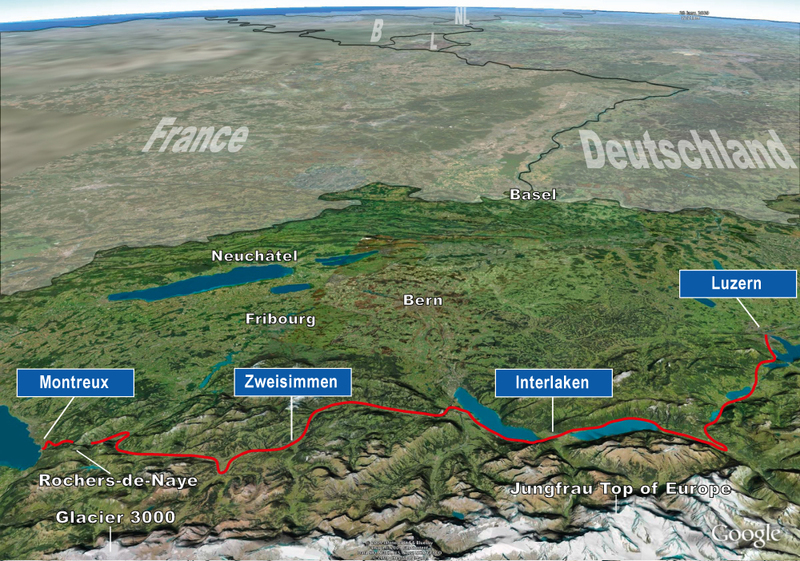 It nestles among the mountains and its warm and friendly presence will accompany you all the way to Interlaken.